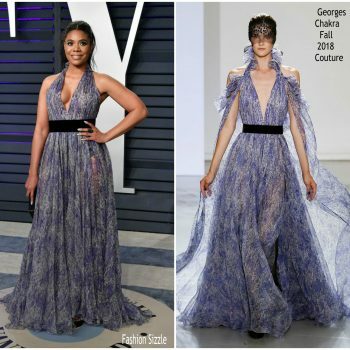 Regina Hall wore a lilac Georges Chakra Fall 2018 Couture floral halter gown to the 2019 Vanity Fair Oscar party. She accessorized with a pair of Stuart Weitzman heels, along with Sara Weinstock jewels. Lucy Hale attended ‘The Unicorn’ LA premiere on Thursday (January 10). 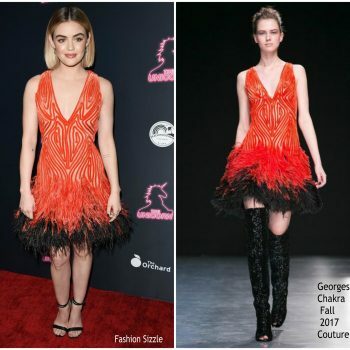 She wore an orange Georges Chakra Fall 2017 Couture velvet embroidered dress that has a feather hemline. 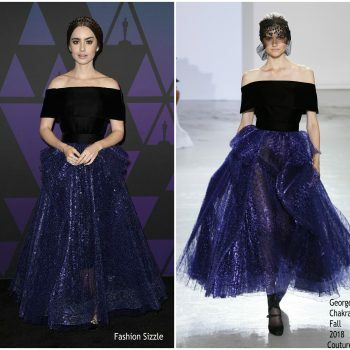 Lily Collins was in attendance at the 2018 Governors Awards on Sunday night (November 18) at the Ray Dolby Ballroom at Hollywood & Highland Center in Hollywood. 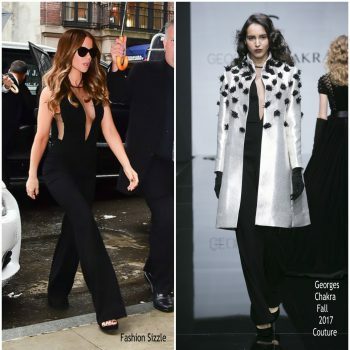 She wore a strapless Georges Chakra Fall 2018 Couture dress. Jennifer Lopez was in attendance at the 2018 American Music Awards on Tuesday (October 9) in Los Angeles, California. 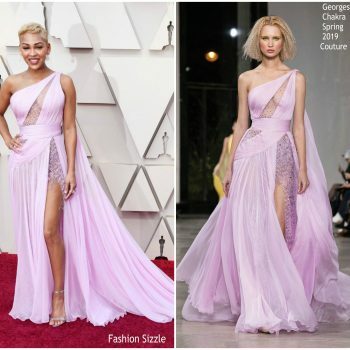 She wore a pink Georges Chakra Fall 2018 Couture gown, styled with Jimmy Choo accessories . Isabela Moner attended the premiere of ‘Sicario: Day Of The Soldado’ on Tuesday (June 26) in Westwood, California. 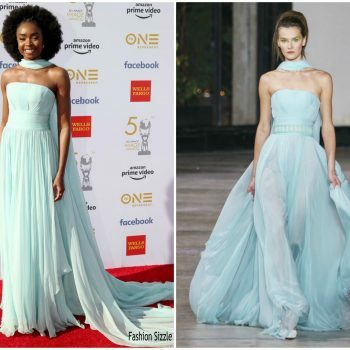 She wore a Georges Chakra Fall 2017 Couture dress. Lily Collins was in attendance at the opening ceremony of Lancôme’s ‘Declaring Happiness’ exhibition on Wednesday (June 21) in Shanghai, China. 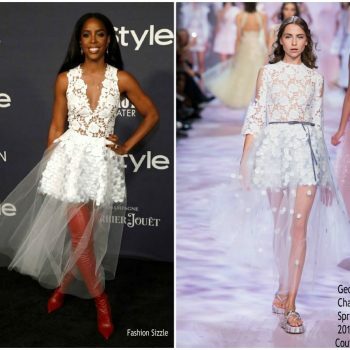 She wore a white Georges Chakra Spring 2017 Couture dress.